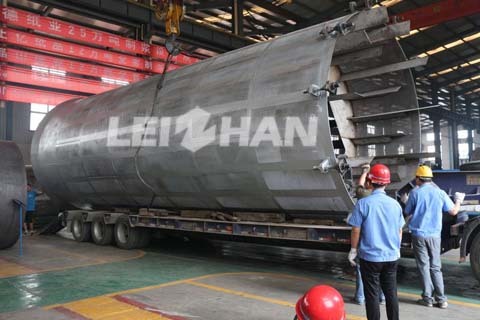 250,000 tons per year Coating Board Paper Pulp Machine supplied Leizhan for Guangdong Yaode Paper Mill is delivered recently. This time we delivered Drum pulper screening part, feed hopper and motor, The Drum pulper used in big production capacity have more advantage for customer. Leizhan Drum Pulper is used for waste paper pulping and coarse screening, one minute turn 10 to 15 laps achieve the purpose of gentle pulping, The Drum Pulper consists of Feed hopper, Pre-soaking part, Pulping part and Screening part. The waste paper is broken in pulping part and then the pulp goes into screening part for coarse screen, the screening part equip spray pipe to wash the pulp, reduce fiber loss, the good pulp enter into pulp chest through screen slot for next stage, impurities discharged from the end of the drum. Pulper equipment is the first stage of paper pulp production line, good pulper equipment can reduce the pressure of follow-up equipment, at the same time achieve the purpose of energy saving. So what kind of machine is a good machine that can maximize the benefits. At first a good pulper machine need have good performance to produce qualified pulp. Leizhan Drum pulper has three parts: Pre-soaking part, Pulping part and Screening part, gentle and continuous pulping without fiber damage and make the light impurities separate from pulp more complete. Secondly good pulper machine has the feature that low energy consumption, in the same big production capacity(above 80t/d) we suggest papermaking friends to choose Drum Pulper, because in the conditions of large production capacity, the energy consumption of the Drum pulper is lower than that of other pulper machines. Thirdly Good pulper machine has long service life low maintenance costs. 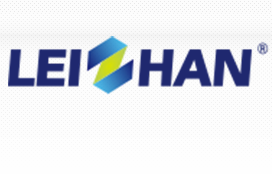 Leizhan Drum pulper almost no wearing parts, low maintenance costs. 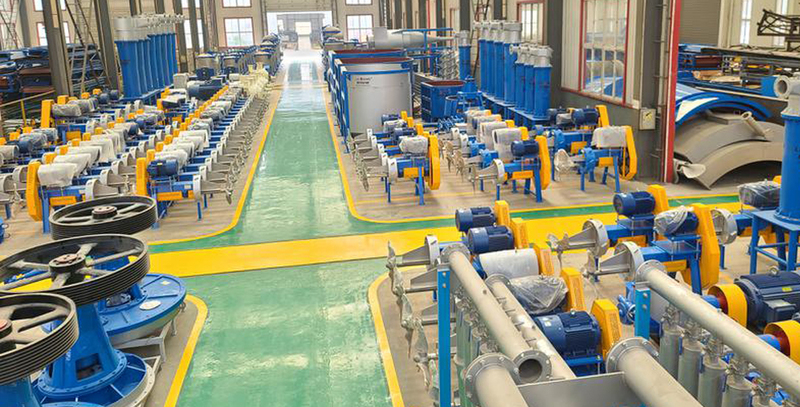 Stable operation, simple operation, can replace the whole set continuous pulping system. Large capacity, minimum fiber loss with lowest power consumption. Meanwhile we also supply high quality paper machine for coating board paper making, we can design the suitable project according to your requirements, if you have any need, feel free to contact us.